Pre-event planning: Food manufacturer United Biscuits (UB) needed a venue for its annual sales conference that could accommodate large numbers and was close to transport links as well as to the Lee Valley White Water Centre – the first 2012 Olympic venue to be completed. UB hired agency Fresh Tracks to deliver the three-day conference. Jane Mole, team-building, conference and events project manager at Fresh Tracks, says: "We needed a very specific layout and facilities that were good enough to accommodate a fairly demanding client. We had several meetings with Radisson to ensure it could meet the brief." Challenges: The main challenges were logistical, says Mole; the venue needed to be large, and flexible enough to accommodate changes from the morning to afternoon break-out sessions, where delegates would be divided into three groups. 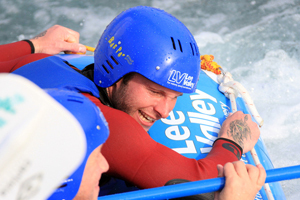 It also needed to be close to Lee Valley, so delegates could take part in rafting events. Mole says: "The objectives were to motivate and reward United's sales team and to plan for the future. We needed to be near the Olympic venue to tie in with themes of achievement and excellence." Solution: The 500-room Radisson Blu Hotel, connected to the main terminal at Stansted Airport in Essex – a key transport hub for the 2012 Games – met the requirements. Delegates attended presentations, a dinner and an evening disco. Gill Pearce, PA to the UB senior sales director, says: "We were in the main conference area, then had to break into three groups in a short space of time. That could have gone wrong, but it worked well." Mole says staff impressed by swiftly resolving a potential parking problem. "There had been a big wedding the night before we arrived at the venue, and by 7am as delegates were arriving, wedding guests were still partying in the car park," she says. Pearce adds: "The problem was that we started very early, which didn't give previous guests time to vacate. But the hotel dealt with it." Most delegates stayed at the hotel, and travelled in small groups to the Olympic venue. Fresh Tracks pre-booked rafting sessions for up to nine at a time. "The feedback was excellent: it was about working with colleagues in a different way as well as a reward," Mole says. Post-event analysis: Pearce says: "We chose the venue because of its location. It ran smoothly and staff were helpful. The food at our evening dinner was particularly good." Mole adds: "The staff worked with us through lots of last-minute changes. 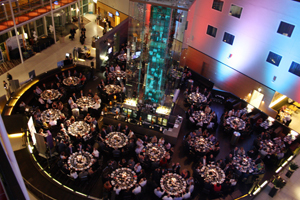 The client had high expectations, and we would certainly use the venue again."